The idealistic expectations fed to mommy-t0-bes from the social media world can cause legitimate anxiety. Even well meaning friends can paint unrealistic pictures of what your recovery and postpartum period “should” look like. But, each delivery is different and each baby is different. Perhaps a goal we could set for ourselves is to just give into the beautiful, unknown mess of mommyhood, with sleep deprived red eyes, a large pad in-between the legs, a recovering saggy belly, and a completely dependent but divine baby in our arms. 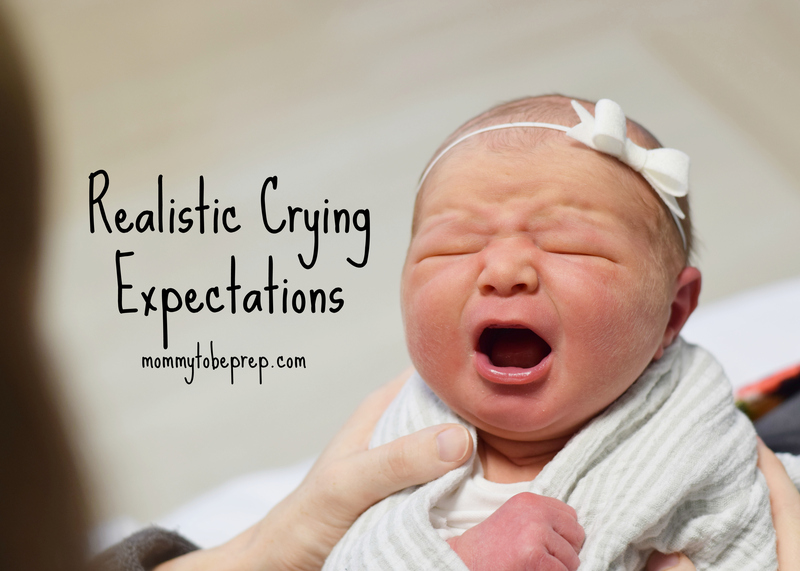 Although each situation is unique, general knowledge of the postpartum period including realistic expectations for your own sleep, as well as your baby’s will help set you up for success. It is recommended that adults from the ages of 18-60 years old receive seven or more hours of sleep per night for optimal health.2 In today’s contemporary rat race, sleeping as little as possible is foolishly seen as a strength or admirable. In reality, sleep plays a large part in our glucose metabolism, and neuroendorcrine function.3 It allows us to complete tasks in a changing environment,4 it helps us to stay emotionally balanced,5 and it allows us to better handle our babes. One study showed sleep deprived women view their child as more difficult than women who received adequate rest6 (no surprise there). Now that I’ve told you just how important sleep is, I will tell you just how much sleep you can expect to miss out on… take a deep breathe. Although sleep is “highly personalized,” environmental and behavioral changes may assist your overall sleep health for you and your baby.11 Try and experiment to see what strategies work best with your personal preferences and circumstances. You may want to try some of these changes prior to delivery to make sure they are suitable for you and your partner’s sleeping habits. A newborn should be breastfeeding every 2-3 hours or 8-12 times within 24 hours.14 If your baby takes 30 minutes to feed that’s about 4-6 hours spent of your day breastfeeding! Add in 6-8 hours of intermittent sleep and that equals 14 whole hours of your 24 hour day. The other time being consumed with burping, soothing, changing the baby, feeding yourself, and hopefully some self hygiene! Be realistic with yourself. Keep your “to do list” short and simple, like real short. Ask for help, especially if you have more small children at home! Regardless, never turn down a friend offering their time! Many women believe that formula makes an infant full for a longer period of time versus breast milk, thus helping the baby and mother gain some extra minutes for sleep! Doan, Gay, and Newman completed a fascinating study with 120 first time mothers separated in two groups; those that used at least some formula at night and those who breastfed exclusively. Objective and subjective data was used to see how much these mothers slept the last month of pregnancy and then at one month after delivery. 54 women used at least some formula at night and 66 were exclusively breastfeeding. Between these two groups, the amount of sleep at night during the last month of pregnancy was comparable but the one-month after delivery was significantly different! Okay, now to the good part, drumroll… The total nighttime sleep for the breastfeeding group was 386 plus or minus 66 minutes. The total nighttime sleep for the formula group was 356 plus or minus 67 minutes. Concluding that exclusive breastfeeding moms get an average of 30 more minutes of sleep at night than formula feeding mothers!15 Breastfeed exclusively for some extra ZZZs. Keep the baby in their own bassinet right beside your bed so you only need to roll over to pick them up and put them next to you to breastfeed. Place the baby back into the bassinet after the feeding is completed. Ask your significant other to do the burping and changing of the diaper when necessary after feedings so you may quickly go back to sleep. Sleep during the day while your baby sleeps. 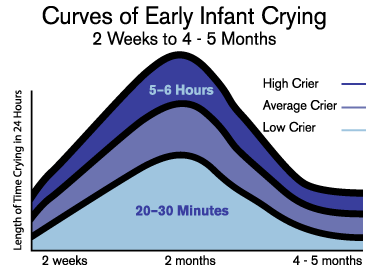 Although each baby is unique, the amount of crying your newborn exhibits generally increases in the first two to three months and then gradually begins to decrease as you can see in the following graph. There is light at the end of the tunnel! Postpartum Depression affects 6.5% – 12.9% of all childbearing women. Symptoms can come as early as two weeks or even a year after delivery, but the usual peak of postpartum depression is between 6-12 weeks after delivery. A woman who has experienced depression prior to pregnancy is at a higher risk for a recurrence or postpartum depression. There is not one specific cause for postpartum depression, but there are proven contributors such as the quality and amount of sleep. Sleep deprivation and depression have a two-way relationship. Women with significant sleep disturbances are more likely to report an increase in symptoms of depression as well as postpartum depression. In addition, women with depression are at an increased risk for developing sleep disturbances creating this relentless, overwhelming cycle. The diagnosis of postpartum depression is made when a woman has a persistent sad mood or decreased interest in the things that used to bring her joy as well as five or more symptoms. These symptoms include, “changes in weight or appetite, sleep disturbance, feelings of anxiety, irritability, altered psychomotor activity, decreased energy, poor concentration, poor self-worth, or suicidal or homicidal ideation (including recurrent thoughts about harming themselves or their infants).”20 If you have postpartum depression, seek help from your OB or hospital immediately. It is impossible to be completely ready for a baby as each babe is unique. But knowing baby norms will help. Sleep is important and not overrated. New moms can expect to lose 2-3 hours of sleep a night, this adds up quickly. You will get through this and it does get better. 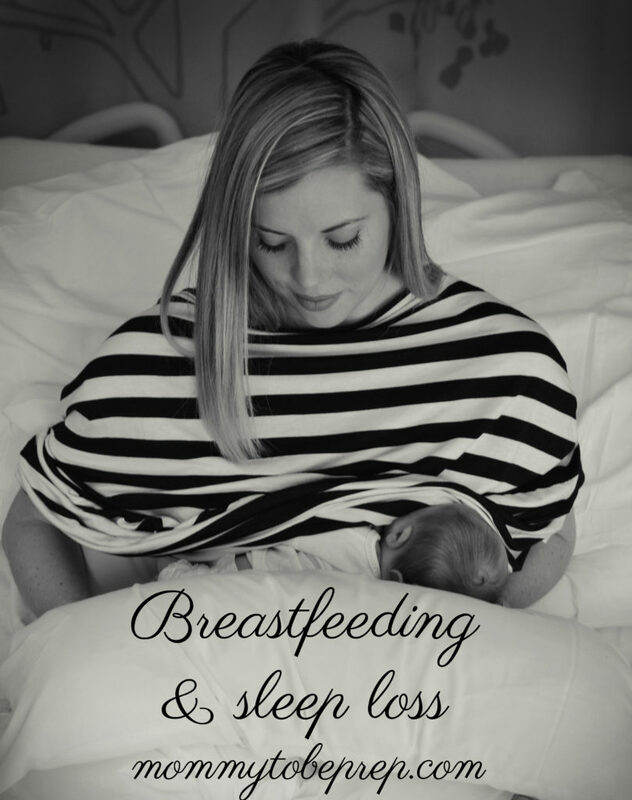 Exclusively breastfeed if possible, as it is shown to give you more minutes of ZZZs each night. You can expect your newborn baby to be suckling on your breast around 4-6 total hours a day. The rest of the day may seem to slip by due to the baby’s demands. At two months your baby could cry up to 6 hours a day, but crying generally decreases at 4-5 months of age. Remember, there is light at the end of the tunnel! 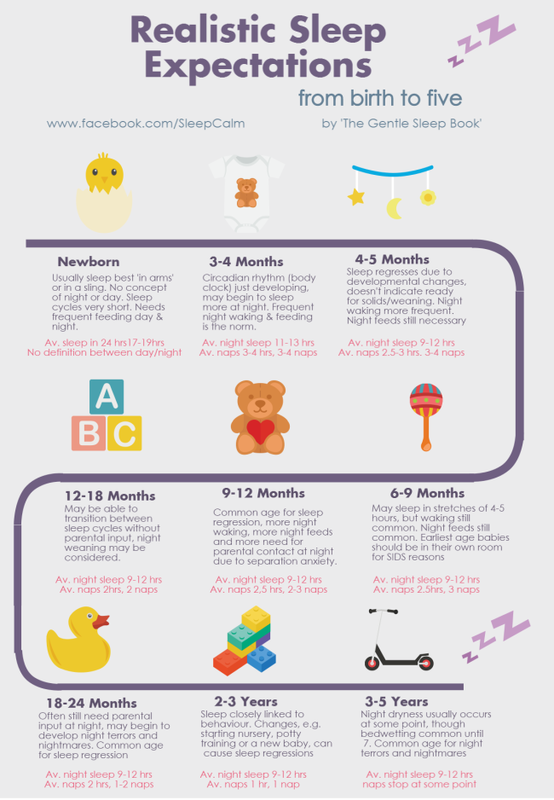 As a newborn your baby will not know the difference between night and day and their sleep cycles are short due to small tummies and frequent feeds. Postpartum blues are actually normal and common, but do not mistake them for postpartum depression. Don’t forget to ask for help, take care of yourself, and know that your babe is only little once. Share in the comments below with what tips or tricks helped you to cope with sleep deprivation, or any stories! I love to hear from you! 1. Lee, Kathryn A., and Caryl L. Gay. “Can modifications to the bedroom environment improve the sleep of new parents? Two randomized controlled trials.” Research in Nursing & Health 34.1 (2010): 7-19. Web. 2. “Recommended Amount of Sleep for a Healthy Adult – American ….” https://www.aasmnet.org/resources/pdf/pressroom/Adult-sleep-duration-consensus.pdf. 4. https://doi.org/10.1159/0002625244. “Chronic sleep curtailment impairs the flexible … – Wiley Online Library.” http://onlinelibrary.wiley.com/doi/10.1111/j.1365-2869.2010.00878.x/abstract. 5. Okun M. Sleep and postpartum depression. Current Opinion In Psychiatry [serial online]. November 2015;28(6):490-496. Available from: PsycINFO, Ipswich, MA. 6. DELEÓN C. A Pilot Study on Perceptions of Sleep Deprivation and Mother-Infant Interaction. Journal Of The Indiana Academy Of The Social Sciences [serial online]. October 2012;15:74-85. Available from: Academic Search Complete, Ipswich, MA. 7. 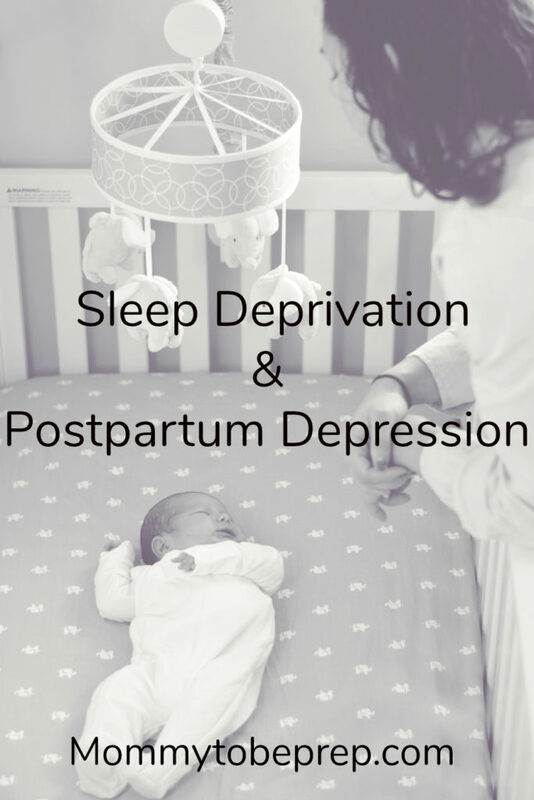 Okun M. Sleep and postpartum depression. Current Opinion In Psychiatry [serial online]. November 2015;28(6):490-496. Available from: PsycINFO, Ipswich, MA. 8. Okun M. Sleep and postpartum depression. Current Opinion In Psychiatry [serial online]. November 2015;28(6):490-496. Available from: PsycINFO, Ipswich, MA. 9.”In Desperate Need of Sleep – Health Magazine.” http://www.healthmagazine.ae/health-us/childrens-health/in-desperate-need-of-sleep/. 10. “New parents lose 44 days of sleep in the first year of child’s life | Daily ….” 17 Sep. 2013, http://www.dailymail.co.uk/femail/article-2423615/New-parents-lose-44-days-sleep-year-childs-life.html. 11. Holtzman, Nancy. “Helping New Mothers and Newborns Sleep: An Innovative Sleep Support Program.” Journal of Obstetric, Gynecologic & Neonatal Nursing 42 (2013). 12.”CDC – Sleep Hygiene Tips – Sleep and Sleep Disorders.” 10 Dec. 2014, http://www.cdc.gov/sleep/about_sleep/sleep_hygiene.html. 13. Lee, Kathryn A., and Caryl L. Gay. “Can modifications to the bedroom environment improve the sleep of new parents? Two randomized controlled trials.” Research in Nursing & Health 34.1 (2010): 7-19. Web. 14. “POCKET GUIDE – Bright Futures – American Academy of Pediatrics.” https://brightfutures.aap.org/Bright%20Futures%20Documents/BFNutrition3rdEdPocketGuide.pdf. 15. Doan T, Gay C, Kennedy H, Newman J, Lee K. Nighttime breastfeeding behavior is associated with more nocturnal sleep among first-time mothers at one month postpartum. Journal Of Clinical Sleep Medicine: JCSM: Official Publication Ofv The American Academy Of Sleep Medicine [serial online]. March 15, 2014;10(3):313-319. Available from: MEDLINE, Ipswich, MA. 16. “Sleep Deprivation and Breastfeeding – HealthyChildren.org.” 21 Nov. 2015, https://www.healthychildren.org/English/ages-stages/baby/breastfeeding/Pages/Sleep-Deprivation-and-Breastfeeding.aspx. 17. 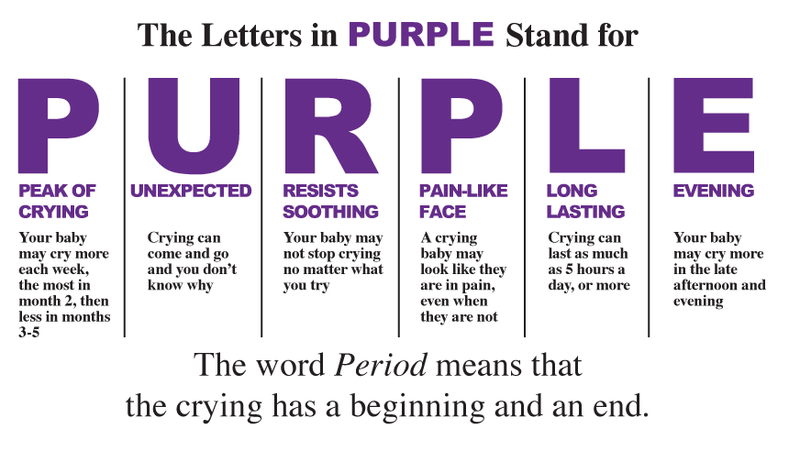 “Why Does My Baby Cry So Much | PURPLECrying.info.” http://purplecrying.info/sub-pages/crying/why-does-my-baby-cry-so-much.php. 18. “Postpartum Depression – ACOG.” http://www.acog.org/Patients/FAQs/Postpartum-Depression. 19.”POSTPARTUM BLUES: A MARKER OF EARLY … – Wiley Online Library.” http://onlinelibrary.wiley.com/doi/10.1002/imhj.21410/pdf. 20. Okun M. Sleep and postpartum depression. Current Opinion In Psychiatry [serial online]. November 2015;28(6):490-496. Available from: PsycINFO, Ipswich, MA. 21.”Breastfeeding and Postpartum Depression: An Overview … – NCBI – NIH.” 11 Apr. 2016, https://www.ncbi.nlm.nih.gov/pmc/articles/PMC4842365/. 22.”Association between postpartum depression and the … – Science Direct.” 26 Dec. 2016, http://www.sciencedirect.com/science/article/pii/S0021755716303941.